Well, this was a pleasant surprise! 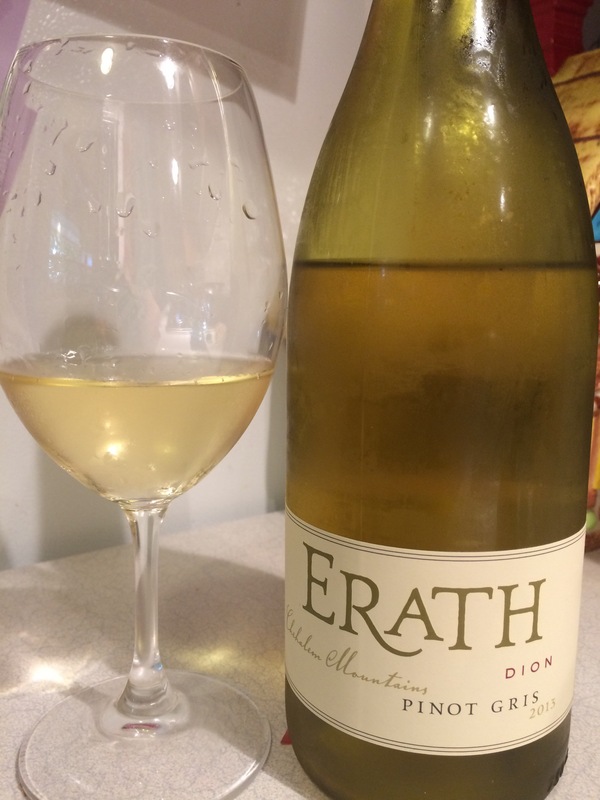 I thought this was just a simple Oregon Pinot Gris that I had chilled down and forgotten about, but I pulled it out of the fridge and lo! Unexpectedly fancy wine! The nose has a great combo of tangerine and peach, served up on a steele-rimmed plate of sassy mineral undertones. (Amelia says it smells like beer.) The texture is rich (which means it’s thick in your mouth, like whole milk ), and the mineral comes in strong on the palate, trailing some yellow raspberries behind it. The whole thing slowly lingers into a gentle but enthusiastic tangerine flavor. Really excellent! Quick, go check the back of your fridge for some inexpertly great wine. Can’t hurt to try!